Access to the nobility in the 15th century was granted to people who amongst others were displaying a noble lifestyle. An important part of this was keeping up appearances by showing your wealth. 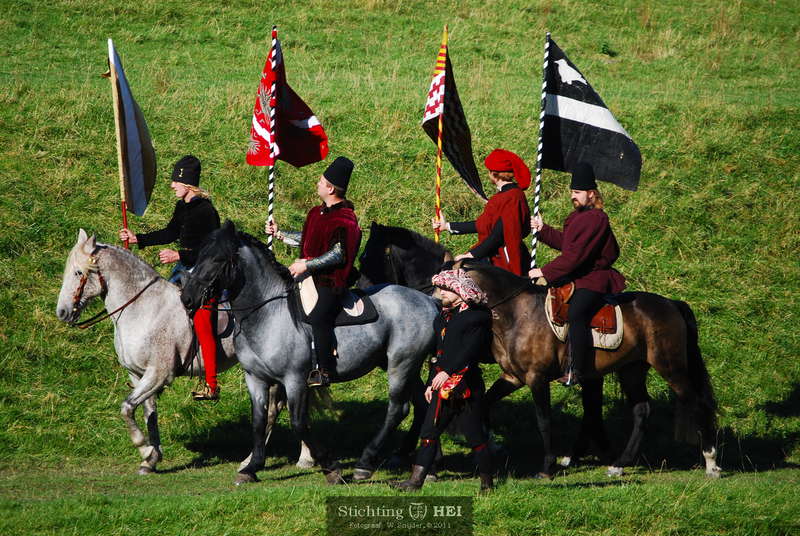 Many knightly tournaments were preceded by a posh parade through town, where the knights and their ladies showed off their luxurious clothing while riding past the public. Not only was this a habit at tournaments, but also with the inauguration of a new prince, the socalled Joyous Entry. Here the patricians and aristocrats showed off their best stuff to the gathered people. Bring this grand sight to your event or town by hiring our parade, or combine it with another of our activities like the Knights Tournament.